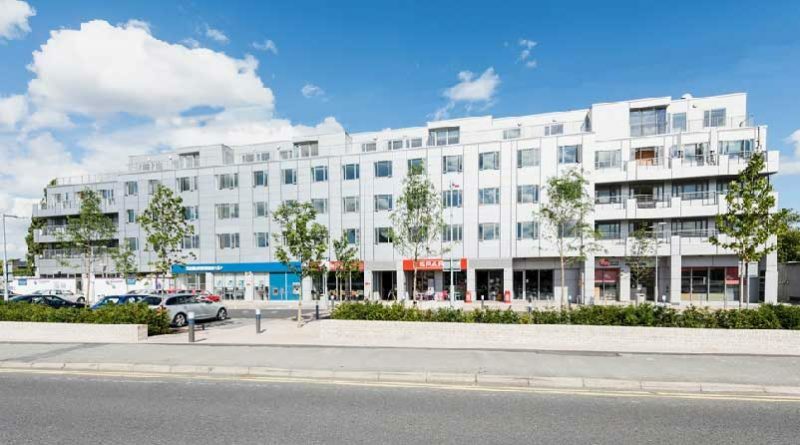 Savills has launched the Montrose Student Residence, Stillorgan Road, Dublin 4 to the market for sale by private treaty on behalf of Ziggurat Student Living. This highly sought after student accommodation scheme, which has a forecasted gross rent roll of approx. €2.91 million per annum, will attract significant levels of interest from domestic and international investors looking for prime Irish investment opportunities, according to Savills. The guide price – in excess of €41.5 million – equates to a forecasted net income yield of approx. 5.4% after standard purchasers costs. The Montrose Student Residence is located approximately 5 kilometres south of Dublin city centre and directly opposite University College Dublin (UCD) in the heart of Dublin 4. The property is accessed off the pivotal N11 Stillorgan Road, which is one of the main arterial routes linking the south Dublin suburbs to the city centre, and is conveniently within a five minute walk from the UCD campus. With an extensive 330 acre campus, UCD is one of the primary higher education providers in Ireland and is ranked 154th in the QS World University Rankings. Established in 1854, UCD is the largest University in Ireland with a student population of over 32,000 providing a range of third level courses in Business, Engineering, Science, Law and Health, to certificate, diploma, degree and postgraduate level. The neighbouring area includes the impressive Elm Park mixed use development with adjoining golf and sports club, Saint Vincent’s University Hospital and the Radio Television Eireann (RTE) recording studios. The area is excellently served by frequent and direct bus services into Dublin City Centre and beyond along the Stillorgan Quality Bus Corridor (QBC), and also benefits from an Aircoach stop from Dublin Airport outside the premises. The Montrose is a former 3 star hotel which has been carefully re-developed to provide student accommodation over five floors and commercial at ground floor level. There are 205 en-suite student bedrooms, including a two bedroom penthouse apartment on the newly developed fourth floor, along with 777 sq m (8,363 sq ft) of commercial accommodation and a total of 52 surface car parking spaces. The main redevelopment was completed in October 2014 and an additional fourth floor subsequently added. The bedrooms include a mix of classic rooms, accessible rooms, superior rooms, twin rooms and penthouse rooms. Room sizes range from approx. 12.68 sq m (136 sq ft) to approximately 28.29 sq m (305 sq ft) and are significantly larger than standard en-suite rooms. The student accommodation rooms are configured typically for clusters of 8 rooms with a communal kitchen. All bedrooms benefit from a high specification including ¾ sized beds, en-suite bathrooms and a large desk. Kitchen facilities include a fitted fridge, freezer and microwave. The bedrooms are rented on an all-inclusive basis, encompassing all utility bills and 30mb broadband and WiFi in all rooms and communal areas. The ground floor retail accommodation provides complimentary neighbourhood services including a Bank of Ireland, Spar convenience / grocery store and the thriving Insomnia café. Demand for bedrooms within this development is exceptionally strong with full occupancy almost secured for the upcoming academic year providing for a gross forecasted student income of approx. €2.69 million. Classic bedrooms currently let for a rent of €245 per week, Superior bedrooms for €275 per week and Twin bedrooms for €300 per week. The commercial accommodation is currently producing an overall income of approx. €220,000 providing for a total forecasted gross rent roll of approx. €2.91 million per annum from the entire scheme. The Montrose is set to capatalise greatly on the projected growth in student numbers in a capital city where supply is at a critically low level. A recent report from the Higher Education Authority (HEA) estimates that for the 2014/15 academic year, 57,000 students sought accommodation which is expected to rise to 68,679 by 2024. In the same period, the number of student designated bed spaces, provided either on campus or via private accommodation, is set to rise from 31,296 to 43,496 nationally, leaving unmet demand of approx. 25,000 bed spaces each year. Currently there are only approximately 9,000 purpose built student accommodation (PBSA) bedrooms in Dublin, including both University owned and privately built stock. Based on the Higher Education Authority (HEA) 2015/16 data of full time Dublin student population of 75,131, this equates to only 12% of full time students being able to access PBSA, which is significantly lower than the UK average of 32% and illustrates a severe supply and demand imbalance in the city. There are approximately 6,000 beds in the planning pipeline and it is uncertain whether all of these bedrooms are capable of being delivered. Should all the beds be delivered, the supply ratio would move to approx. 19% which is still significantly below the UK average. Fergus O’Farrell, Director of Investments at Selling Agent Savills, comments: “The asset is ideally suited to an investor as a long term hold, capitalising on the extremely strong student rental location adjacent to UCD. With prime multi-family net yields stabilised at 4.75% for Dublin assets, the Montrose offers a very attractive return of approx. 5.5%.